Borrego Springs Demonstration Home Project opens to public and will showcase latest offerings in zero energy technology. Project will be studied for one year with resulting data to be shared with green building industry. Clarum Homes, California's largest Zero Energy Home developer, announced today the opening of its newly constructed Borrego Springs Zero Energy Demonstration Project and the launch of an innovative program to share project data with the green building industry. The project, developed by Clarum in partnership with the U.S. Department of Energy's Building America Program, ConSol, and Davis Energy Group, consists of four demonstrations homes in an extreme desert climate that utilize a mix of innovative zero energy technologies to study their energy efficiency and affordability. These zero energy technologies include state-of-the-art wall, cooling and solar electric systems. The homes, designed with a goal of 90% energy reduction, will be tested for energy efficiency continuously over the next twelve months; the results of which will be shared with builders, manufacturers and municipalities throughout the United States. 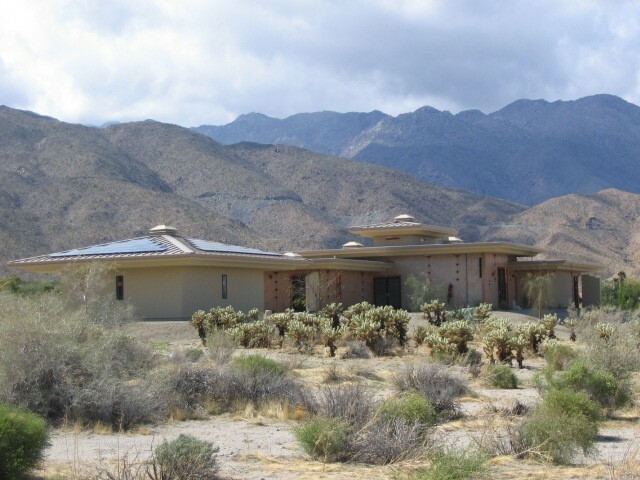 "Innovation is a cornerstone of the green building industry and we believe that by sharing the data from the Borrego Springs, California project that we can help reduce the time it takes to make new zero energy technologies economically viable for builders," said John Suppes, founder and president of Clarum Homes. "With President Bush's recently announced Advanced Energy Initiative, it's important now, more than ever, for the industry to come together to drive the adoption of new energy efficient building products." As part of the Borrego Springs Zero Energy Demonstration Project, the demonstration homes have been built with a number of new and innovative energy efficient products; in particular, the demonstration homes were built with three different types of wall systems -- Styrofoam T-MASS, Structural Insulated Panels (SIPS) and High Efficiency 24" o.c. Optimum Value Engineered (OVE) Wood Framing. In addition to the three wall systems, the homes, which share the same floor plan, were equipped with three different cutting edge cooling systems: two of the homes feature Speakman 2 stage evaporate coolers; the third home has a Freus water cooled condenser and AC; and the fourth home features a Lennox 20.5 SEER AC. All of the homes feature 3.2 kW Kyocera photovoltaic solar systems and exterior shade screens. "Over the next twelve months, we are confident that the data collected will validate the effectiveness and affordability of the many innovative products utilized in the construction of these demonstration homes," stated Rob Hammon, PhD, project energy consultant and principal of ConSol. "The test data will be of benefit not only for Zero Energy Home development in extreme desert temperatures like Borrego Springs, but also in more moderate climates around the United States." Clarum Homes is a family-owned development company devoted to building exceptional new home communities and apartments in California. Clarum's mission of building sustainable communities began in 1999 when they began installing solar electric systems in their homes as standard equipment. Clarum Homes is now recognized nationwide as a leader in green building. In 2002, Clarum introduced the Enviro-Home™, its own Zero Energy Home prototype. A perfectly designed blend of innovative construction technologies, unsurpassed energy efficiency and the use of sustainable materials, this home was a breakthrough for Clarum Homes, and for the entire homebuilding industry. The Enviro-Home™ minimizes the use of resources, reduces harmful effects on the environment, creates healthier and more comfortable living spaces, and provides savings on utility bills. The overwhelming response to the Enviro-Home™, and Clarum's strong commitment to the environment, have prompted Clarum to continue building the Enviro-Home™ in all of its communities. The Clarum Homes family and management team are a dedicated group of professionals with an in-depth understanding of green building and decades of combined homebuilding experience. Clarum uses this experience to design the most attractive communities possible, to build the highest quality and most innovative product, and to provide impeccable customer service. For more information on Clarum, visit http://www.clarum.com. ConSol is celebrating 25 years as the leading developer of energy solutions for production builders. Its services include mechanical engineering, energy code compliance, ComfortWise® products, and energy consulting. ConSol's highly-skilled experts work with builders, supplying research and in-depth knowledge on the best construction practices for energy and resource efficiency. ConSol leadership has provided strong analytical and technical knowledge in support of builder needs while helping to promote practical energy policy at the local, state and federal levels. ConSol serves as the team leader of the Building Industry Research Alliance (BIRA) for the Department of Energy's Building America program. BIRA, one of six Building America teams in the nation, is a diverse group of over thirty companies involved in this private/public partnership that provides energy solutions to build production housing over 40% more efficient than other new homes.